Reports of storm damage are starting to come through in Marion County as Hurricane Matthew moved up the Central Florida coast Friday morning. A tree fell on a mobile home at Westwood Mobile Home Park, but no injuries were reported. Deputies said that if you do not feel safe in your home, seek safer housing or go to one of the three shelters in Marion County: Belleview Middle School, Vanguard High School or the MCSO Multi-Purpose Room located behind the Marion County Jail. Marion County Emergency Management is recommending anyone living in eastern Marion County in mobile homes evacuate to a safer location or a local shelter. 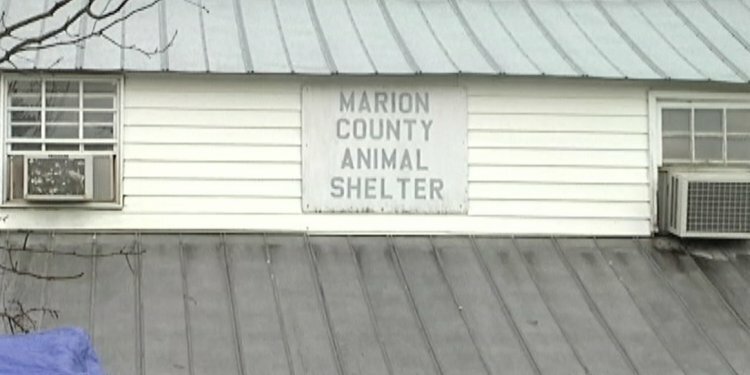 There are three shelters and one livestock shelter open in Marion County. Belleview Middle School, 10500 SE 36th Ave. in Belleview opens at 6 p.m. Thursday. This will be a special-needs and general population shelter. Vanguard High School, 7 NW 28th St. in Ocala this shelter is for the general population and pet friendly. The Marion County Sheriff's Office multipurpose room, located at 692 NW 30th Ave. in Ocala, will also be open to residents as a shelter and will be open until the storm is over, according to Marion County Sheriff's Office. A shelter for livestock is also available for $10 a day at the Southeastern Livestock Pavilion at 2232 NE Jacksonville Road in Ocala. All livestock will be accepted from 8 a.m. to 5 p.m. Owners will need to provide food, water buckets and care for their animals. There are 188 stalls available. For more information, call 352-671-8600. MCSO Emergency Management will be providing transportation for any special-needs individuals. Please call the Citizen Information Line at 352-369-7500 to arrange this transportation. For special-needs people, please bring any needed supplies, equipment, medications or food. No pets will be accepted at this shelter. If you are a special-needs person with a pet, Marion County Code Enforcement will provide transportation for your pet to Marion County Animal Services to shelter it during the storm.